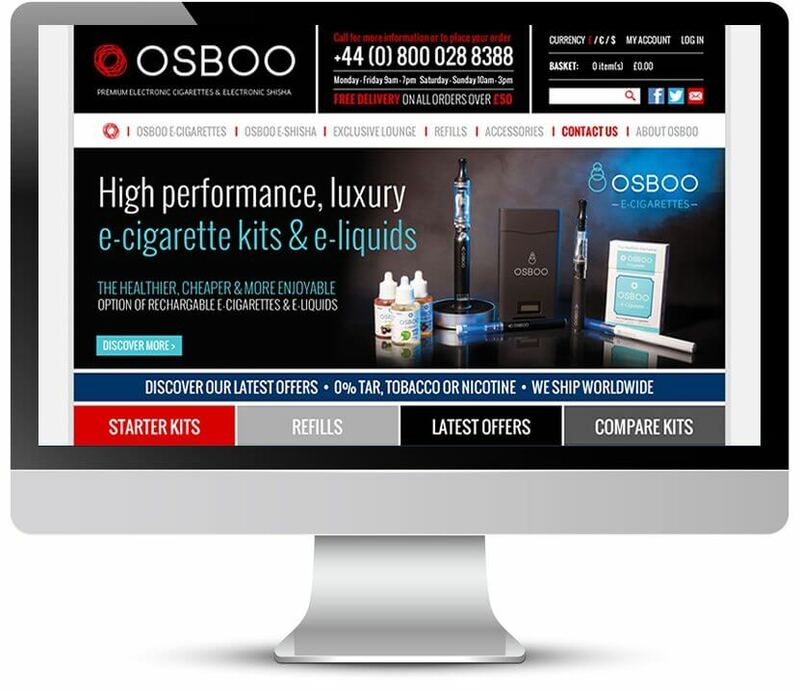 Osboo was formed in the peak of the e-cigarette boom and are pioneers of innovative electronic smoking products that are more commonly known as electronic cigarettes, e-cigarettes and e-shisha. To develop brand excellence for new dynamic electronic cigarette company Osboo. Osboo required a creative and unique style as an innovative, new company that aimed to deliver only the highest quality products. Piranha developed corporate and individual product branding that could be utilised across packaging, sales literature, stationary and for their online presence. 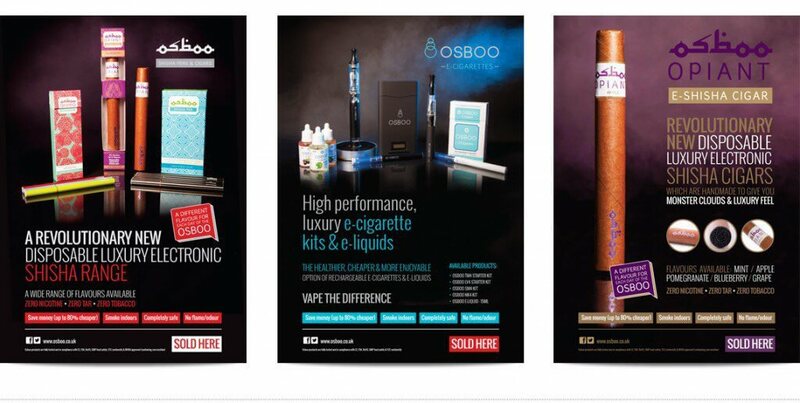 Piranha designed the branding for Osboo’s extensive ranges which included Osboo E-Shisha, Osboo Aroma E-Shisha, Osboo Opiant E-Shisha Cigar and Osboo E-Cigarettes. We successfully created a stunning and comprehensive range to challenge the client’s competitors. In addition to the branding, Piranha developed Osboo’s online shop allowing them to sell direct to a growing market and widening their geographical scope of operation, through e-commerce. Piranha managed the entire process for Osboo, which even meant liaising with packaging production companies in China to ensure the final product was perfect for the client. The branding helped Osboo to develop a link between the company and quality, whilst creating a striking image to enter the industry with.